‘Power Tools – Drum Samples & Patches’ is, put simply, the biggest, baddest and meanest drum collection ModeAudio has ever created. To say these samples will punch and snap their way out of your speakers is an understatement – ModeAudio has designed every transient and each quaking soundwave to veritably thunder its way through your music, from epic, deep kicks, snarling, explosive snares, sleek, slicing hi hats, mountainous, rumbling tuned bass drums and so very much more! This release is a no nonsense collection of massive, weighty drum sounds and there’s enough variety in the pack’s range of 330 samples to satisfy the darkest wishes of Trap, Dubstep, EDM, Hip Hop, Beats, Bass, D&B and House producers alike. On top of the drum sounds themselves, ModeAudio has also hand-selected 30 custom drum kit patches for all your favourite samplers. The kit presets are split between 10 full drum kits of 16 sounds, each packed with kicks, snares, hi hats, claps and percussion, and 20 monstrous, 808-style bass drum patches. Everything is key-mapped, mixed and panned to perfection so you can get beatmaking the instance after download. ‘Power Tools – Drum Samples & Patches’ is so much more than your average drum library, offering extra versatility in the form of multi hi hat samples (closed, mid and open), multi-layered kick and snare samples, combined clap and snare hits, fully featured drum kit patches (including choke assignments), 5 drum processing channel strip settings for Ableton, Reason, FL Studio and Logic, and beyond. 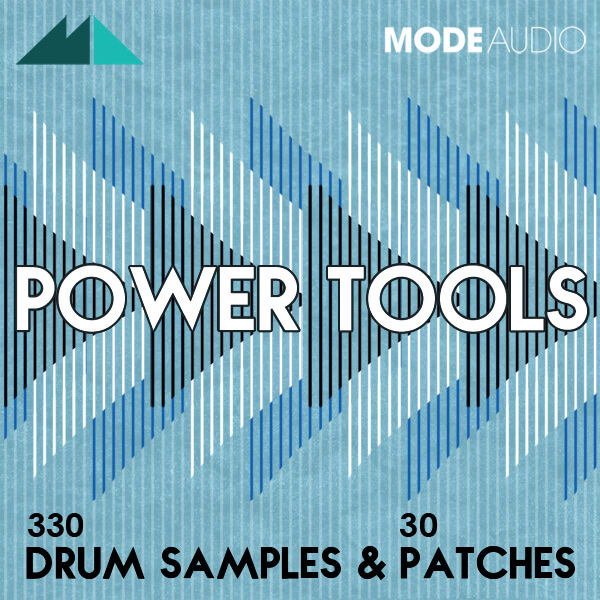 It’s time to elevate your drum sound and feel the sheer force of percussive power contained in this release – treat yourself to ‘Power Tools – Drum Samples & Patches’ from ModeAudio now!